Sometimes you just need to get away—if only for the weekend. There’s no place better to put your feet up and relax than Charleston, SC, a city well known for its Southern charm. But where should you stay? Walk Away Stays offers a full range of incredible Charleston weekend rentals, boasting luxury amenities, beautiful designs and loads of local charm. With so many fabulous properties to choose from, there’s a dream vacation rental for everyone. Here are just a few of our featured properties! This beautifully remodeled apartment is the perfect couple’s getaway. 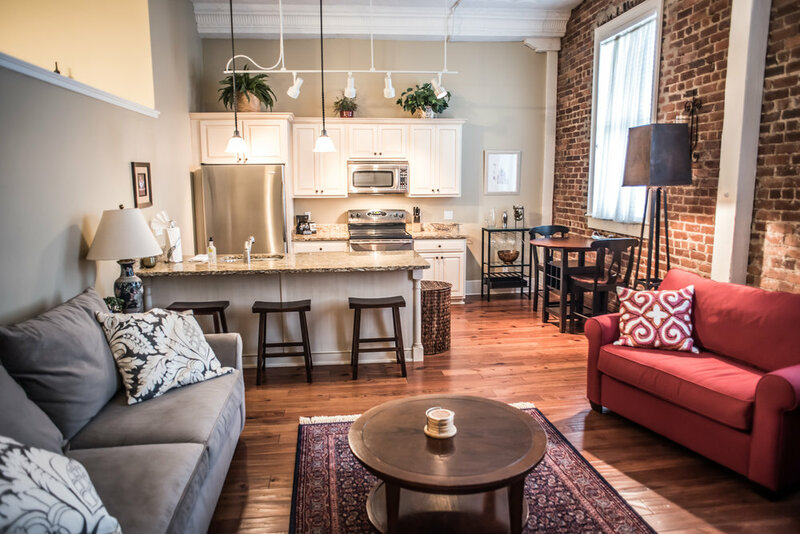 It’s a one bedroom, one bath located in the heart of downtown Charleston. Scenic Colonial Lake is only a short jaunt up the street, and sun-bathed Cannon Park is less than a block away. This upscale apartment offers a fully equipped kitchen, washer and dryer, off-street parking, and a lovely patio with gas grill. It’s such a perfect spot to cozy up with your significant other, you may want to extend your stay! Good news—this amazing apartment is also available as a monthly rental! When considering Charleston weekend rentals, you may be on the lookout for historic housing. Well, look no further than this one bedroom carriage house located in the hip Cannonborough/Elliotborough neighborhood in downtown Charleston. Built in 1860, this classic Charleston home is an ideal weekend retreat. Enjoy a loft style bedroom, original hardwood floors, washer and dryer, and a kitchen stocked with all the essential cooking amenities. With two full baths and a sleeper sofa, additional guests can feel right at home. When you need some R&R from a long day, its open floor plan and outdoor patio make it the perfect hangout spot. Bonus: you don’t need to leave the puppies at home! This rental is pet friendly! This luxury apartment is just steps away from King Street. Location doesn’t get any better than this! 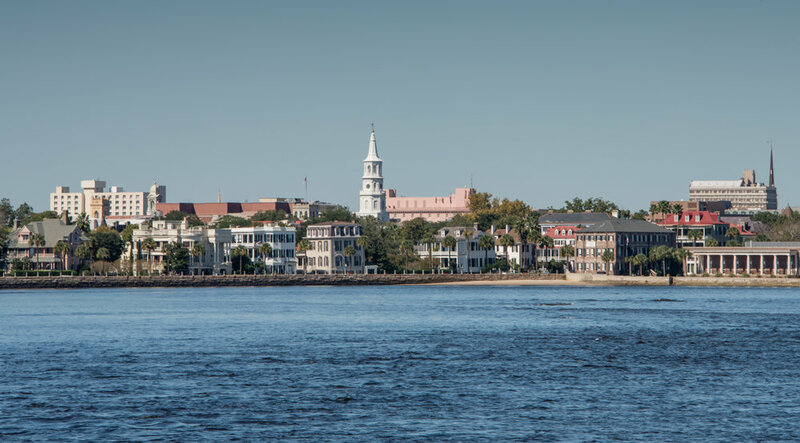 Shopping, award-winning restaurants, and the Historic Charleston City Market are all a short stroll away. But even in this bustling part of town, you’ll feel no shortage of privacy when you’re ready to wind down. The property offers one loft style bedroom, a full bathroom that has been newly remodeled, and a fully equipped kitchen boasting stainless steel appliances and a gorgeous marble countertop. 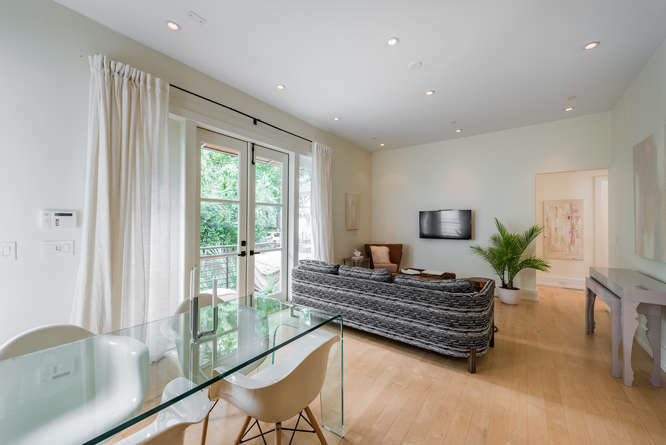 What puts this property over the top is the elegantly designed and decorated interior with vaulted ceilings, exposed brick walls and pristine hardwood floors. This two bedroom, two bath first-floor unit is located in the idyllic historic district of downtown Charleston. With an added sleeper sofa, the unit sleeps six, making it perfect for small groups and families. The fully equipped kitchen offers tons of counter space alongside a spacious living room that’s the perfect spot for guests to relax after a busy day exploring the city. Charming ivy climbs the walls of the serene enclosed back patio and a covered porch ensures that even rainy days can’t keep you from enjoying the outdoors! 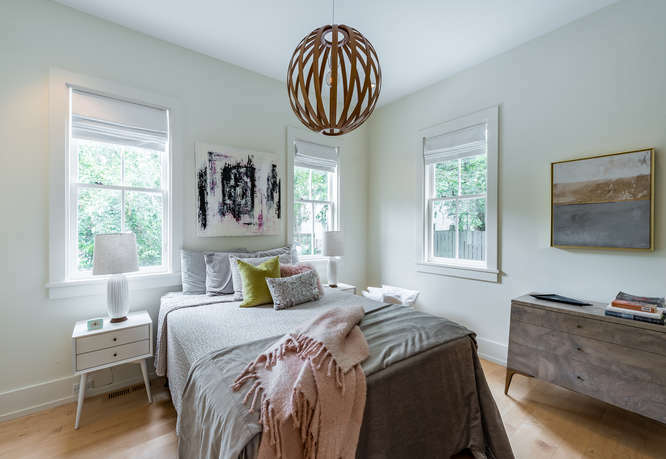 The master bedroom features a king size bed, and there’s a comfy queen size in the second bedroom, with both rooms enjoying their own private baths. The Holy City is synonymous with Southern hospitality. Here at Walk Away Stays, we take that concept to heart. You’ll enjoy around the clock concierge services, high quality linens and towels, hotel-style toiletries and complimentary locally roasted coffee at each of our properties. For the top choices in Charleston weekend rentals, look no further than Walk Away Stays. Browse our full portfolio and book with us today!